Welcome to some weekend fun and entertainment with drones. We spend a lot of time scouring the web for news, information and more on all the great drones around the globe. In our travels, we encounter some fun and funny stuff, and we want to start sharing that with you. Today we will be taking a look drones taking on the urban scene. Next up in our series, let’s explore some fun with drones in more of an urban setting, more specifically, drone racing in malls. 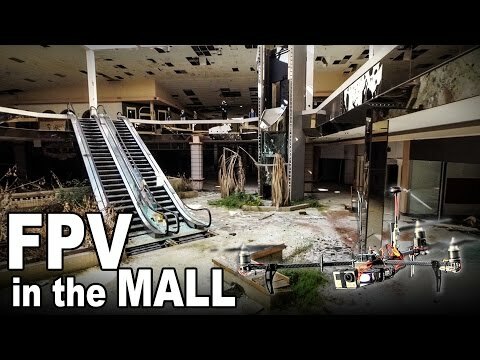 In this video by David Windestal, he takes drone racing to the next level by racing around an abandoned mall. The great scenery and fast-paced action makes this video one of the greats. We will never condone trespassing, but if you can get into a large abandoned facility, you totally should, and send us a link to your drone video. This video takes drone racing to a somewhat stupid level by introducing drones into a busy and crowded environment. 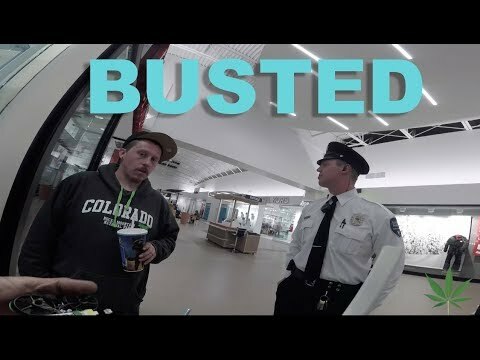 BOTGRINDER FPV’s flying doesn’t end up going to plan as he, along with his friends, get kicked out by mall security. That’s a best case ending, we all know what sort of injuries can happen when these propellers meet skin, if nothing else.